Also available, iCaughtU Pro (iOS 8). iCaughtU Pro is an enhanced version of iCaughtU. This tweak allows to take a picture with the front camera (if available) when the lock password is entered wrong and sends it to the user with more information like Location and a map. iCaughtU Pro has also the option to perform remote actions using iMessage or SMS. More than 15 different commands! Take Picture with Front Camera when password thief enters wrong passcode or tries to turn off device and send it by email. Save pictures to Photo Library (useful with PhotoStream). Set a number of max attempts before taking picture. Send can also send location and time when sending the email. Send SMS reporting that the passcode was entered wrong. 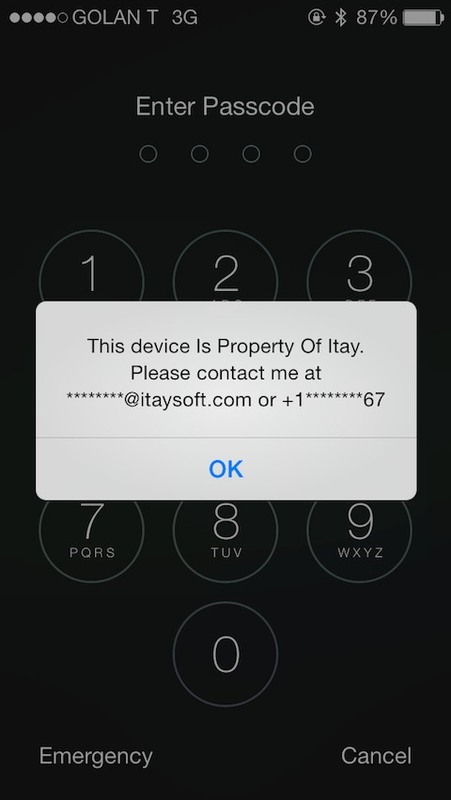 Show different Alert messages when passcode is entered wrong or tried to be turned off. 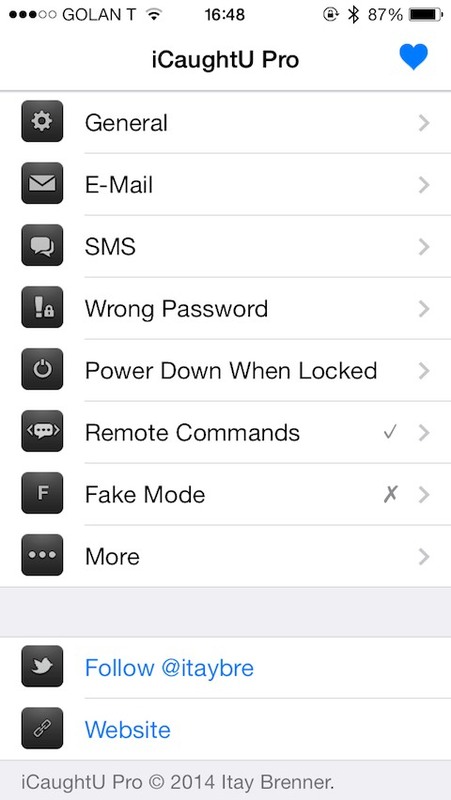 Remote Commands: perform action on the device including taking pictures, reporting location, turning it off or even playing an alarm with an iMessage or SMS. Fake Mode: allow access to device when password is wrong entered but disable some apps. Now can be set a number of attempts before starting it. Fake Mode can be configured just to work with your own SIM Card or Any SIM card and when enabled can hide Charging Indicator and Fake Battery percentage.